At first, I ordered 6 Graham Bear Wear diapers. They are so trim and so cute! These are extremely well made diapers! She uses Zorb and they are so trim because of that. These also have a snap down in the front to protect the umbilical stump. 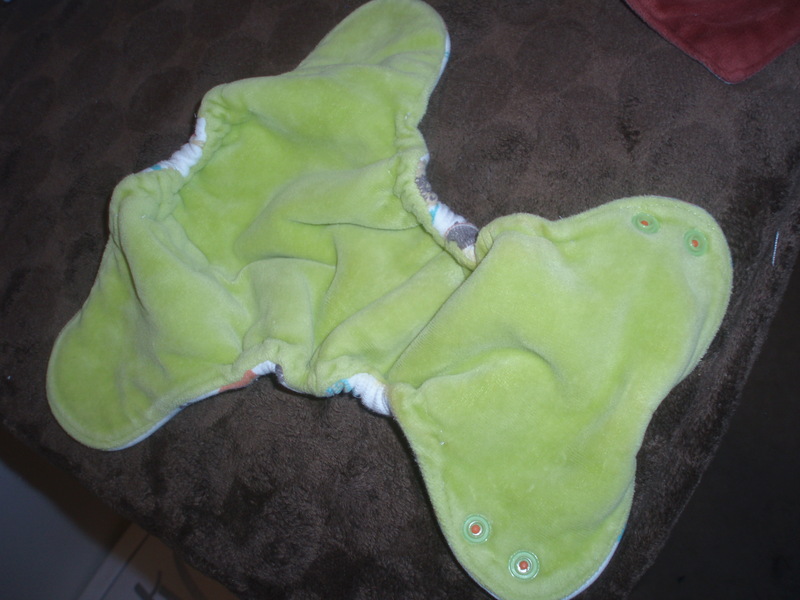 Graham Bear Wear diapers have cotton velour interior (often hand dyed to match the outer fabric you choose). The outer is the cotton of your choice. She has so many lovely fabric choices! I have no two Graham Bear Wear diapers that are alike! Talk about fun! And each diaper comes with a matching liner! 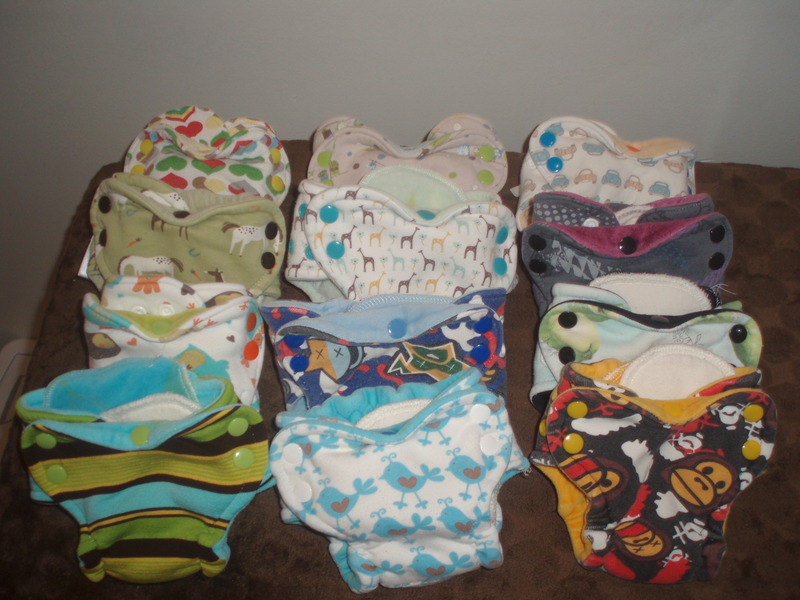 After Emery was born, I ordered 6 more because they were such great diapers! 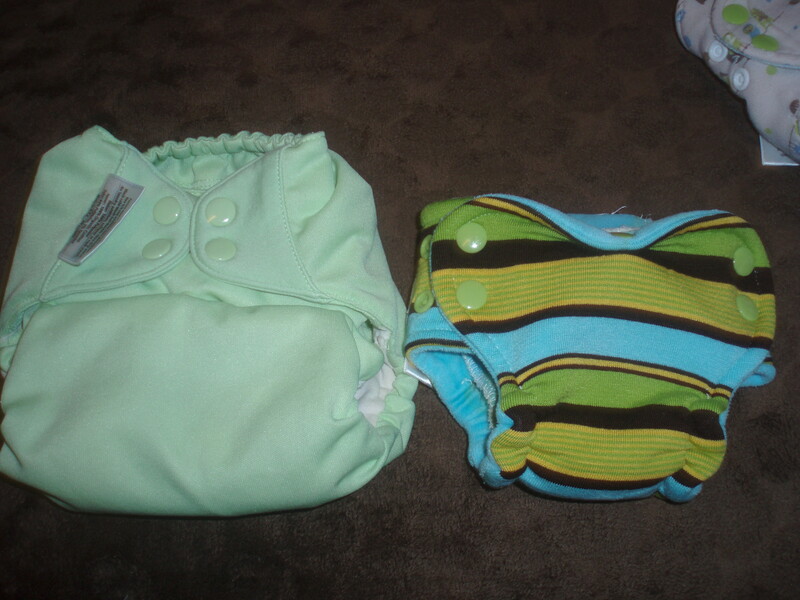 The Pastor even liked these diapers, though he was initially very hesitant about fitteds and covers. You do need a cover, since fitted diapers are not waterproof. Graham Bear Wear diapers easily fit my 6 lb. 13 oz. boy and would have easily fit my firstborn (5 lbs. 2 oz. at birth). These easily fit under a Prowrap newborn diaper cover. These fit Emery until he was about 11 lbs. 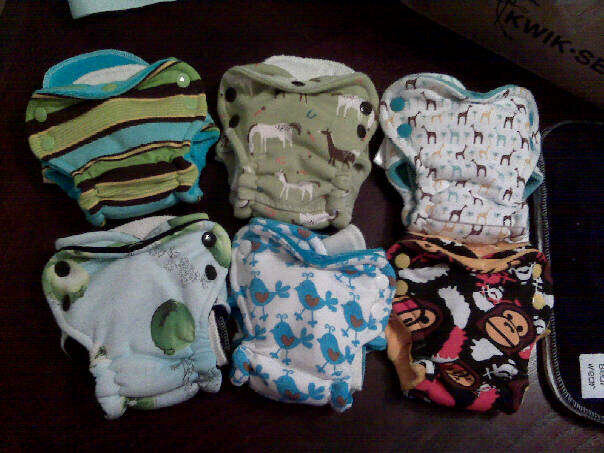 and ready for our one size diaper stash! Photot of a Graham Bear Wear Newborn fitted diaper beside a bumGenius one size oraganic all-in-one to show you the size. The Graham Bear Wear diaper is set on its “medium” setting. The bumGenius diaper is as small as it gets. 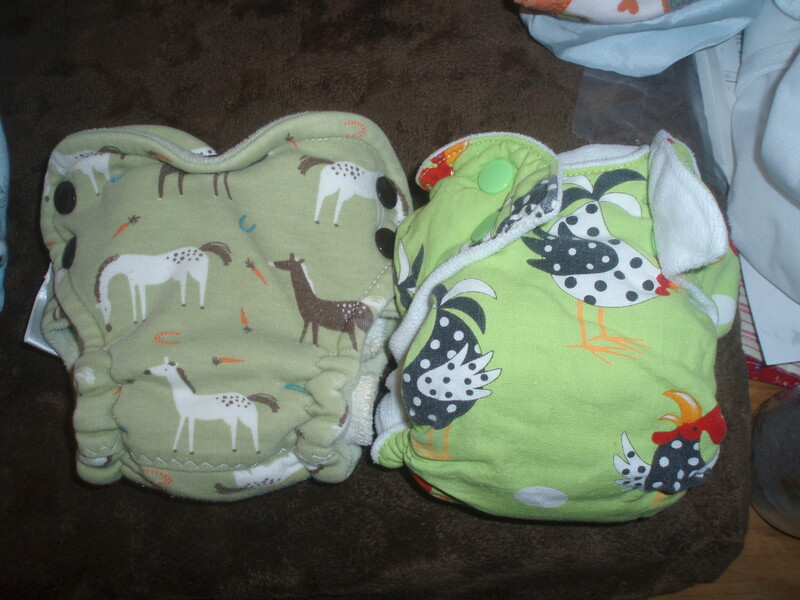 A side by side comparison of a Graham Bear Wear Newborn Fitted Diaper with a Nanipoo Fitted Diaper. Would I recommend Graham Bear Wear fitted newborn diapers? Absolutely! And I do! These are my favorite newborn fitted diaper! They are still in excellent condition after one newborn. I bought them for $50 for 6. Talk about a great deal! The only downfall is that you may not get as much money back if you plan to sell them once your newborn is out of them. Graham Bear Wear is a relatively new shop, so the word is not quite out there about what wonderful diapers they are. I am keeping mine! Hopefully I will get to use them again! Nancie was easy to work with. She made and shipped my diapers quickly! She even threw in a couple velour wipes with one of my orders! (And those are lovely if you are in the market for cloth wipes and don’t make your own!) She had so many cute and fun fabrics to choose from and hand dyed the velour to match many of my diapers. I hope you love them as much as I do. They are so cute and fun, they make those numerous newborn changes kind of fun and not so chore-like! I also really love your sewing projects, although I would probably sew my fingers together if I tried any of it! 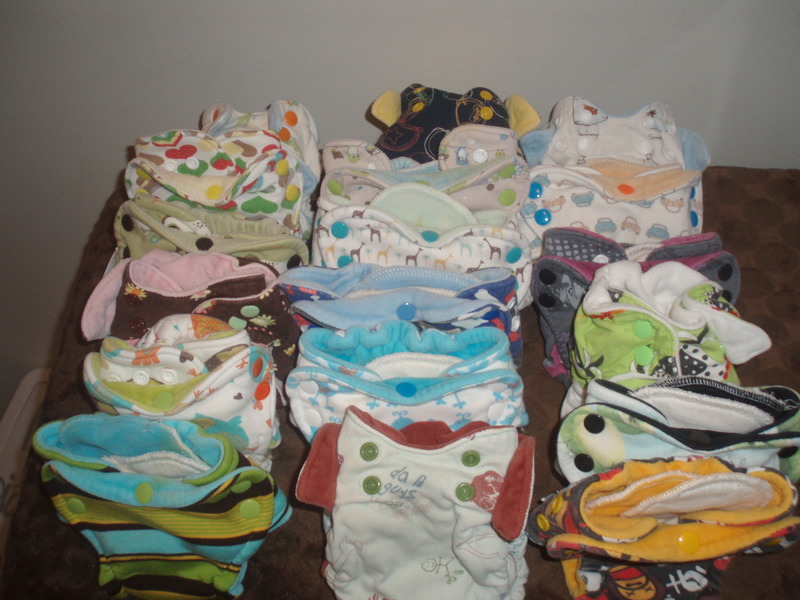 Graham Bear Wear doesn’t keep much listed in terms of “stock” but does lots of customs, especially for newborn diapers. If you write her (you can contact her through Etsy), I’m sure you can get her to make you some awesome diapers. In fact, all my diapers from her were custom ordered. She created a listing for me once we nailed down the details.